We have seen so many interiors that are impressive, attractive and totally livable. It is just amazing how brilliant minds could come up with such a gorgeous cozy space to live in. 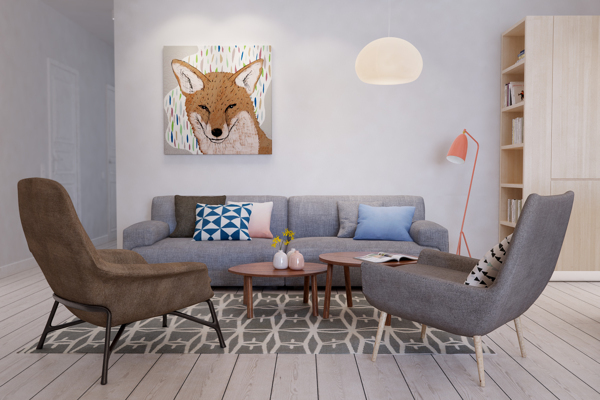 Well, you will be flooded with beautiful interior design inspiration since we will be featuring a lot more so that your appetite for design will never be left unfulfilled. Hence, we have another stunning interior to show you today. 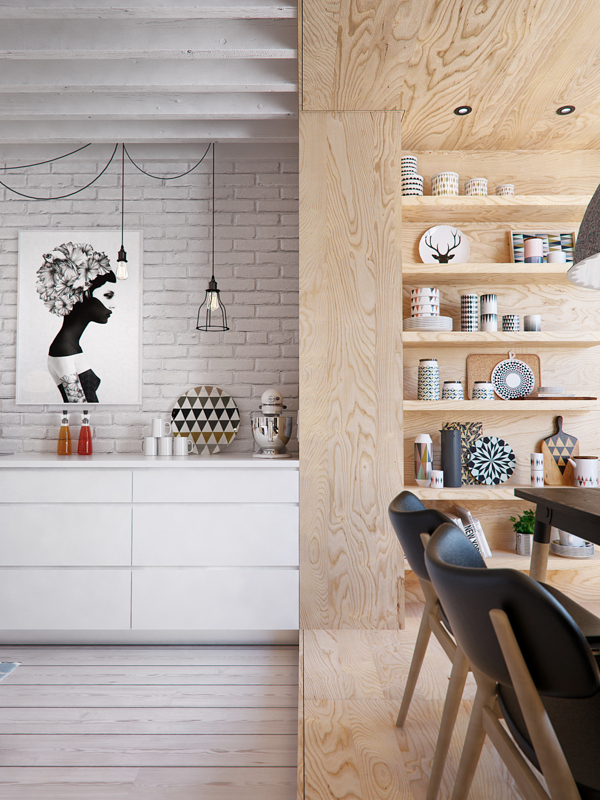 Interior DI is a wonderful small apartment located in Saint-Petesburg, Russia with a 1,130 square foot (105 square meters) area. 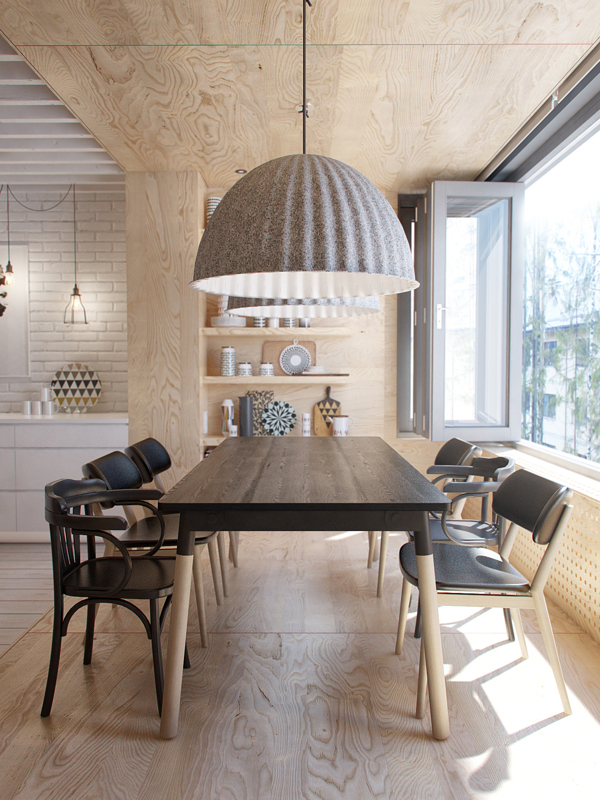 It is a renovation project with an additional space to the home, incorporating the balcony into the interior of the apartment, transforming it into a plywood box. With that, a space for a breakfast/dining area was made possible, located next to a bright window. The open kitchen has an unconventional new layout with storage space and appliances located in cabinets along the far wall and in the kitchen island. 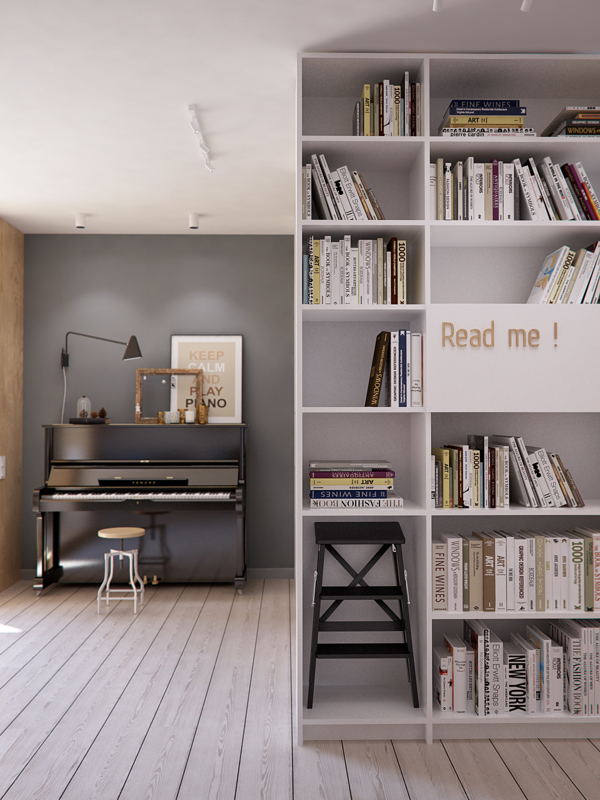 The wall cabinet also holds books for the living room. The kitchen wall also features floor to ceiling exposed brick that has been painted white to reflect light from the nearby windows. 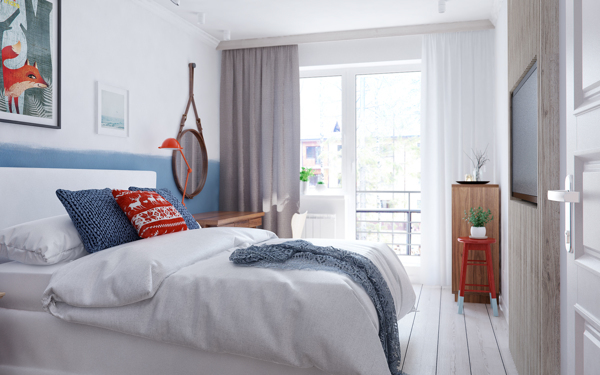 Come enjoy the Scandinavian look of this home! The white washed walls and neutral wood planked flooring is a perfect backdrop for the pastel hues of coral, pale blue and pearl gray in the interior. 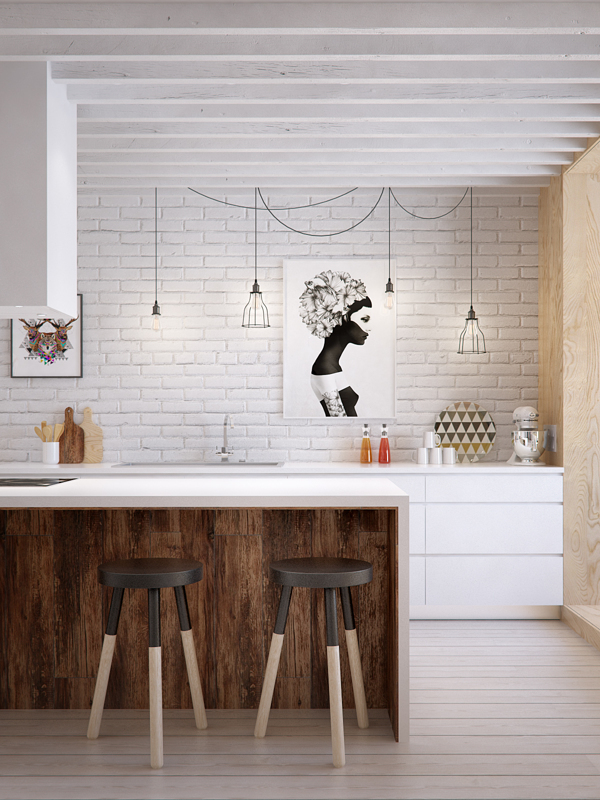 I honestly love the look of the white washed walls paired with the wooden elements in the house. There is an easy flow between the living room and kitchen that makes it entertaining easy. I like the neat yet artistic appeal of the kitchen. The dining area has a mix of dining chairs that all look pleasing to me. Using a ply board finish like this for the wall shelves give a lovely complement to the space. 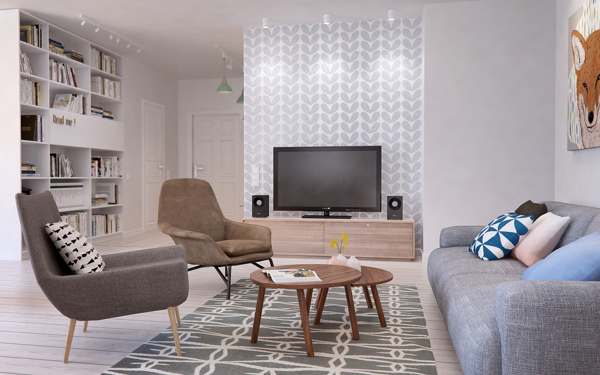 Geometric patterns and pastel colors are seen in the living area of the apartment. Take a look at that wall partition, isn’t it lovely? Natural light floods into the home from the folding glass doors that lead to the balcony. 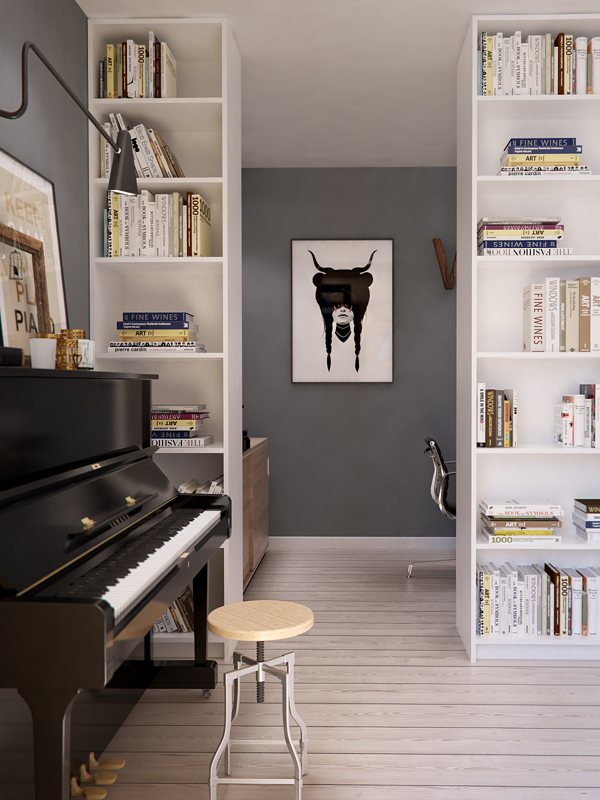 A bookshelf and an area for music-making is seen here- all with creative designs. 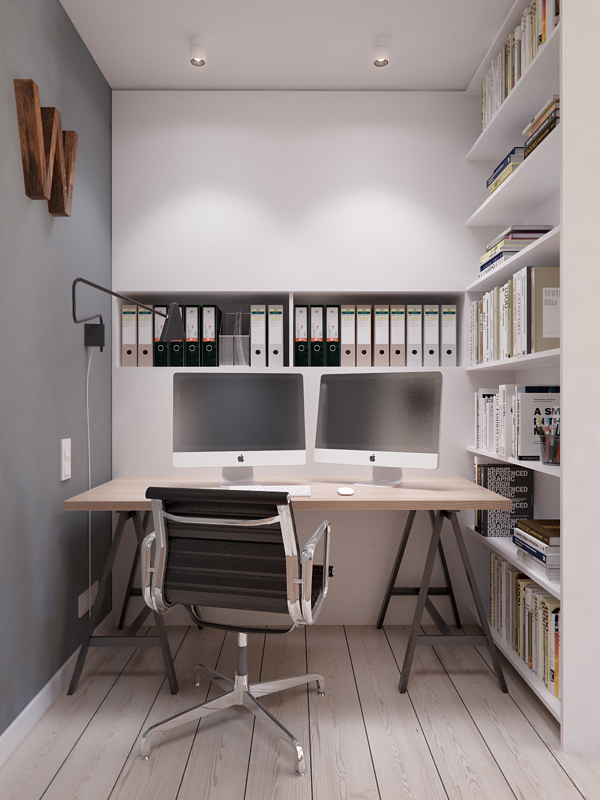 Just behind the bookshelf is a home office which I think is a good design to give the area privacy. This is working area in the house. It is small but I would love to have one like this! As you can see, the apartment is just small. Take a look at the space from the door to the other areas. 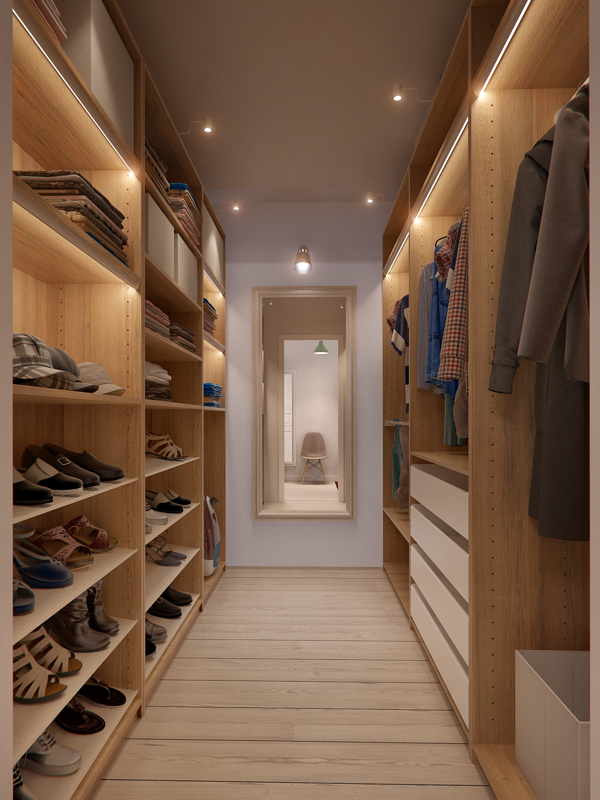 This is the mudroom of with hooks and a rod for hanging jackets. 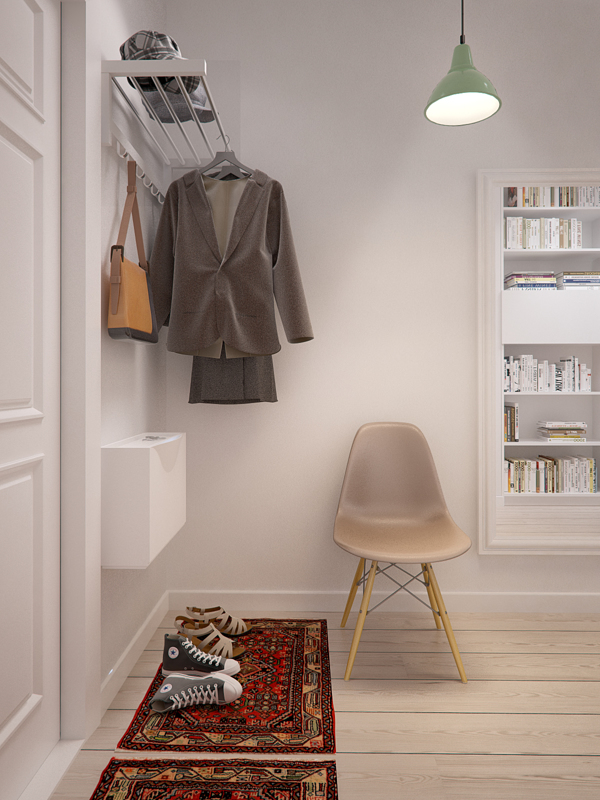 And even if it is small, it has its own wardrobe- good space planning indeed! 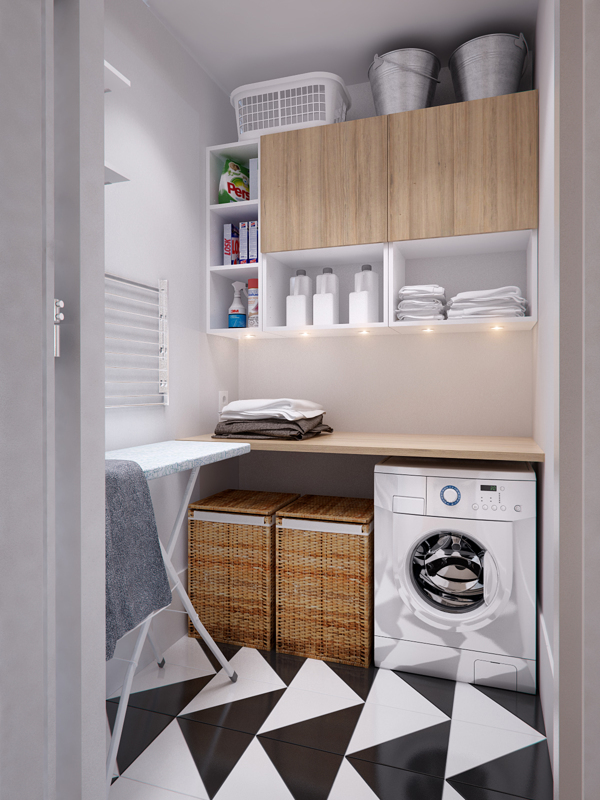 And mind you, it has a laundry area too! Love the floor tiles in this one. 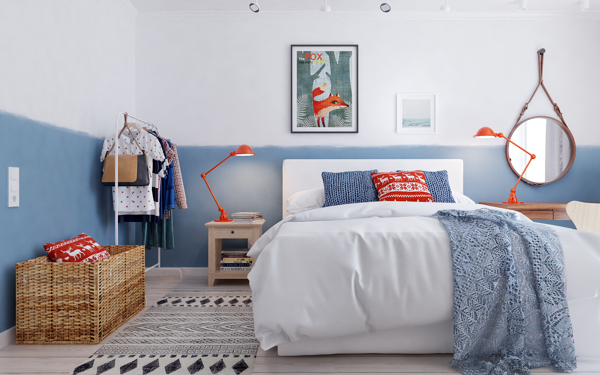 The bedroom has orange and blue colors as well as white and gray. I like the geometric patterns seen here. It opens up to the balcony too with a sight of the outdoor space around it. 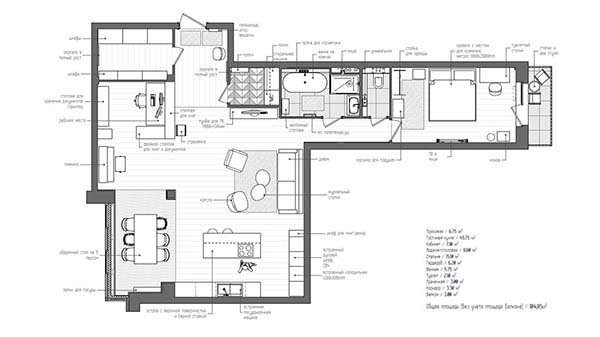 This is how the apartment was design with such an organized and functional layout. 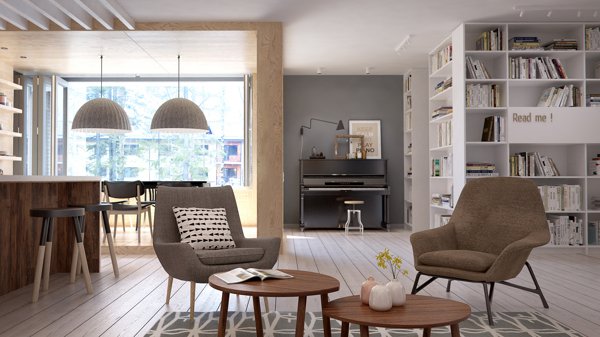 Isn’t this interior stunning despite its simplicity? It looks neat and just very comfortable, making one feel relaxed while in it. I know you will agree with me that a home interior like this one would totally complete the word “home”. 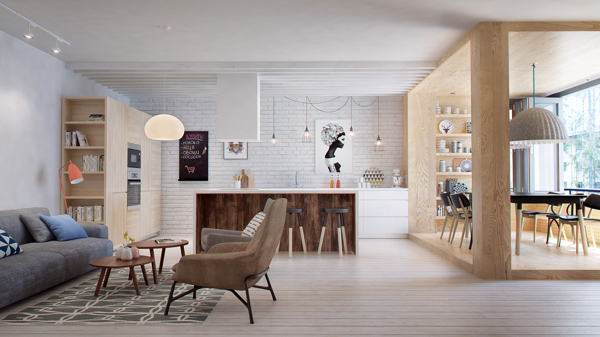 This is another awesome design from INT2 Architecture who have impressed us with lovely interiors before. 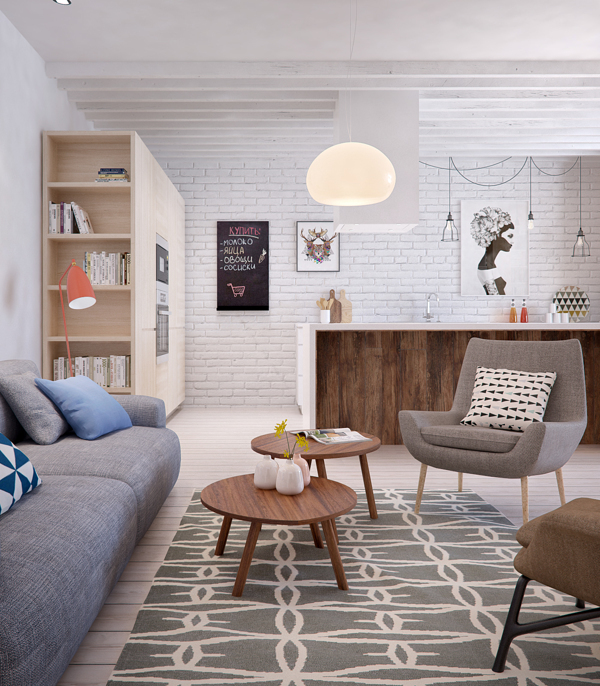 As a matter of fact, we have featured a lot of interiors from them already. Now, what can you say about the Interior DI? Let me know your thoughts in the comment section below.